International Left-Handed Day - Resources for Lefties! August 13th is International Left-handed day. And so to celebrate, I am sharing as many resources for lefties that I can find. I never worked with lefties in the school system as an Occupational Therapy Assistant, so I need to refresh on how to work with lefties too. 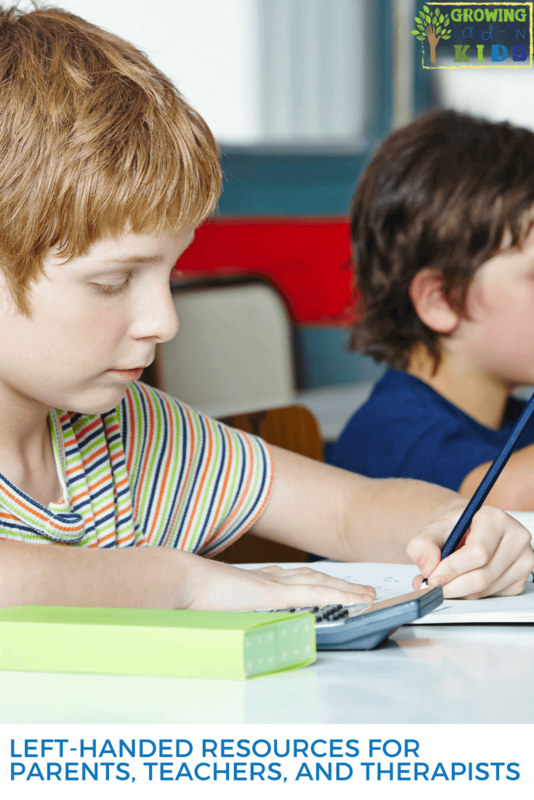 When Will I Know If My Child is a Left-Handed? You might be wondering when you will be able to tell if your child is going to be left-handed or right handed? Developmentally, a child won't really decide which hand is dominate until age 4 1/2 to 6. That is really a huge age range. It's important for us as educators and parents to provide experiences for a child to decide which hand they want to use naturally and try not to force a certain side. A great post to read more about this is Hand Dominance – Understanding Motor Development is Children from Pre-K Pages. It's written by an Occupational Therapist. You may be able to tell if a child will be left or right handed earlier by looking for the signs mentioned in this post: Is My Child Right or Lefty? How To Tell by Miss Jaime OT. Do you have a left-handed child in your family? Here are some tips and resources for you. This area is probably one of the most common trouble areas lefties can have. If you are a right handed person, trying to teach a child who is left-handed can seem intimidating. Here are some tips for you. 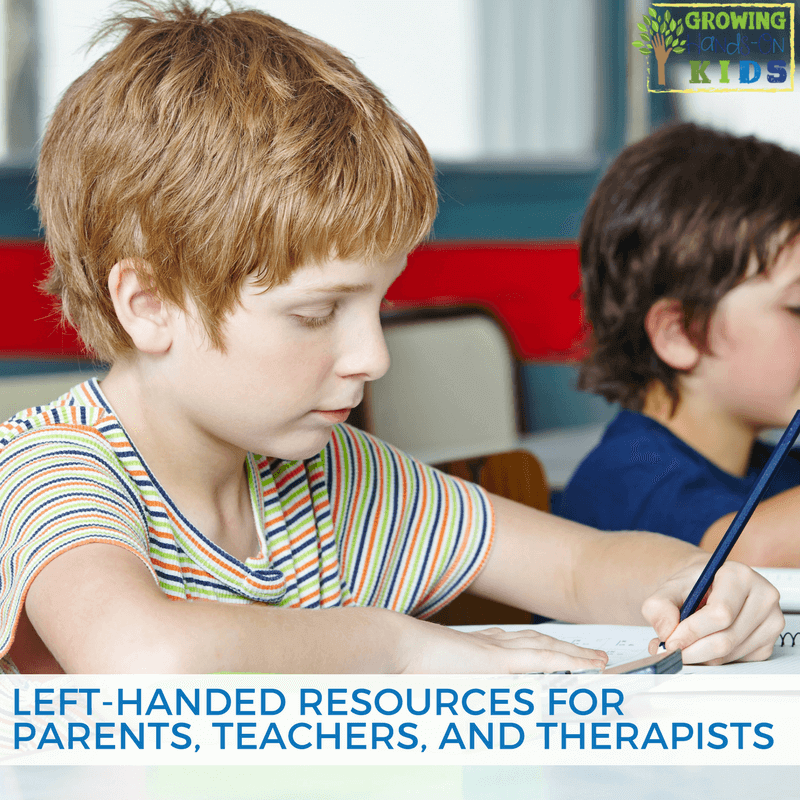 Teaching Lefties to Write – Mama OT – tons of great information and resources in this post from an OT and mom of a leftie. Teaching Left Handed Kids to Write: Grasp, Stages, and Positioning – Teach Mama – Also written by Christie of MamaOT. 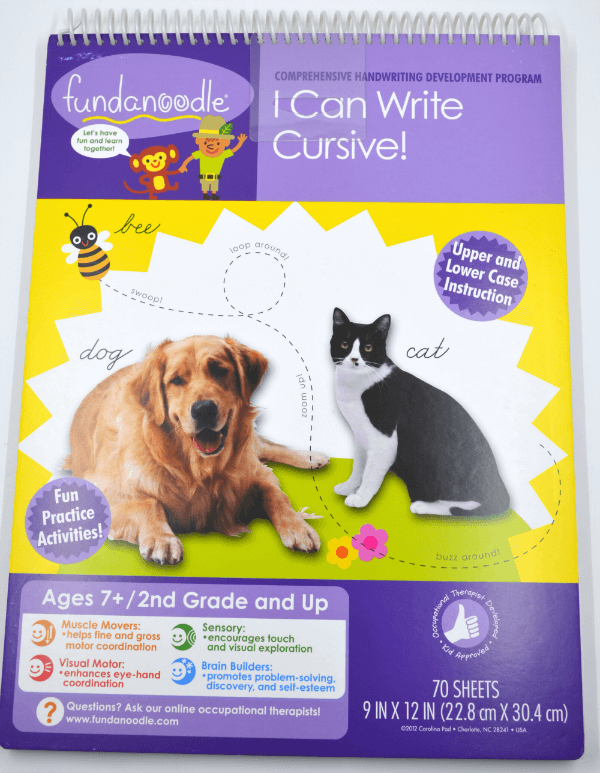 I personally recommend the handwriting resources from Fundanoodle. Each product was designed by Occupational Therapists and early elementary school teachers. All of our activity books are top-bound spiral so that they lie flat for easy access despite which hand is dominant. 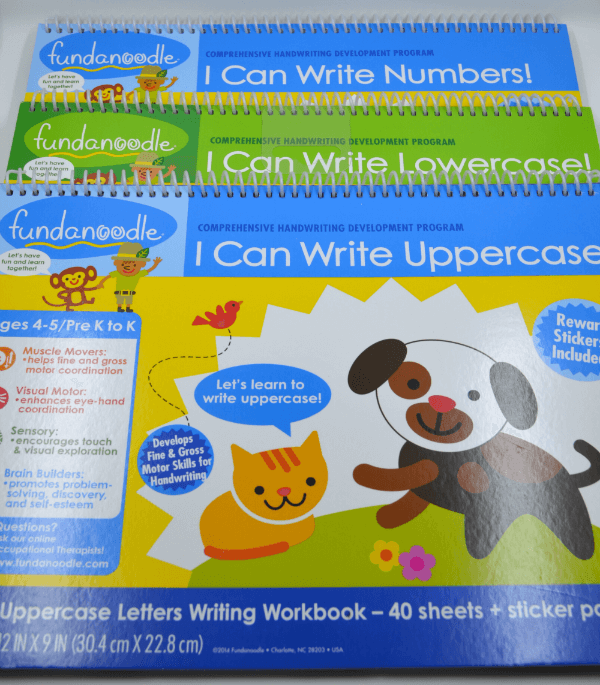 There are 3 levels of handwriting workbooks as well as a cursive book. Do you have a child who is left-handed? Share some of your favorite tips or resources below in the comments. Want more ideas like this? Check out my other posts below.